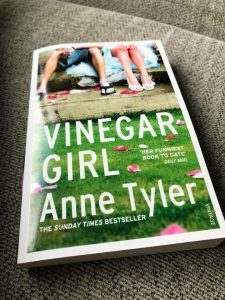 Hi guy’s July’s book is Vinegar Girl by Anne Taylor. its a clever take on Shakespeare’s Taming of the Shrew. Which i love, he is brilliant at developing complex characters.